“The average person will spend a full one third of their lives asleep.” I’m sure you’ve heard this fact many times before. But have you ever really stopped to truly think about it? It’s a staggering thought: we spend more time lying in bed than we do doing anything else! With that much time invested in sleeping, you would think everyone would be sleep experts, especially in the question of sleep positions. Yet, the average person has probably spent more time thinking about what to watch next on Netflix than they have have about whether their sleep position is actually ideal. Don’t feel too bad if this is you. You’re far from being alone. Most of us climb into bed, toss and turn and eventually fall asleep in whatever position sleep strikes us. We don’t think about it at all, we’re just glad it happens. As it turns out, how we sleep can have a huge impact on how we feel the following day. Many chronic body aches and pains can result from sleeping in a position that doesn’t suit our body. Not sure if you’ve get our position right? Read on below and I’ll give you some pros and cons of the three most common sleeping positions. Pros: Unfortunately for what is a very common sleeping position, there are very few pros for stomach sleepers. Pretty much the only thing going for this position is that sleeping face down may reduce the likelihood of snoring and in some cases relieve the symptoms of sleep apnea. Moving on from the superficial to the very serious, sleeping stomach down forces your entire body into a position that stresses the natural curve of the spine. Many stomach sleepers develop back and neck conditions as a result. Yes, sleep experts are pretty unified in this, most believe sleeping stomach down is the worst position for you. 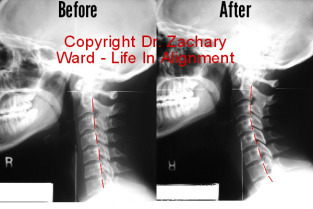 For example, it’s rare for the doctor of this website to see a healthy looking neck x-ray in someone who has spent their life sleeping on their stomach. Pros: Side sleeping is the most popular sleeping position for a reason – it works. Not only does it feel comfortable and natural, it’s also the one recommended by most doctors as being good for the body. Sleeping on the left side is often recommended as the way to go simply due to where our internal organs are located on our body .Left sleeping is thought to help lymph nodes drain toxins, improve circulation and even ease conditions such as heartburn and acid reflux. Ladies, If you should happen to find yourself with child, “sleep on your side” is the first piece of useful advice you’ll get. You will find it takes a lot of pressure off your back and it may even result in more blood and nutrients reaching the placenta. That’s a good thing! Cons: The drawbacks to side sleeping are not universal, but tend to be limited to those with shoulder and hip problems. If you love sleeping on your side, and have occasional pains due to a chronic hip or shoulder injury, then you’ll want to invest in a sleeping surface that can accommodate both with your shoulder and hip while keeping your spine in supported alignment. Pros: Back sleeping is thought by many to be the most beneficial for maintaining a healthy body posture. Lying flat and looking up at the stars is more likely to keep the neck and spine aligned in a neutral position with the rest of the body, just so long as you’re not elevating the head too much with improper pillow position. For superficial reasons sleeping on your back will keep you looking fresher, younger and more wrinkle free for longer. That’s because you aren’t pressing your poor face against a pillow for eight hours a night (as mentioned above). Cons: Snoring, sawing logs, and zzzzzzzzzzzzzzz’s. The main downside to lying on your back is that you increase dramatically the odds of snoring. Now if you sleep alone then that’s not really a problem. If however you sleep beside a partner or special friend then you may have to take measures to lower the volume. Sleep apnea is also another risk of back sleeping. This will unlikely be a problem for you if you have a healthy BMI. However you’re carrying a little extra weight around the face and neck, then it’s likely doctors would a) recommend you lose a little and b) tell you to opt for side sleeping. Finally, much like side sleeping there are some people who find the back position uncomfortable due to the position of their spine or aggravation from an old injury. Some make this position work for them by supporting the legs gently behind the knees with a special pillow, in order to take pressure off the lower back. While those with aches in a side lying posture generally will want a slightly softer mattress, back sleepers may want a mattress that’s a bit more firm. *While our focus is obviously on the mechanics of sleep position, we couldn’t ignore the skin. Facial aging and facial distortion is a research topic for dermatologists and aesthetic skin doctors. There’s some evidence that not all wrinkles are the same. “Fault lines” can develop in aging skin due to facial expressions, but also compression from a face-down position. Face down compression has been shown to shut down blood flow and create skin injuries in surgery patients. Laying on one side of the face may be developing wrinkles in an unnatural way.